I just enjoy being along for the ride. 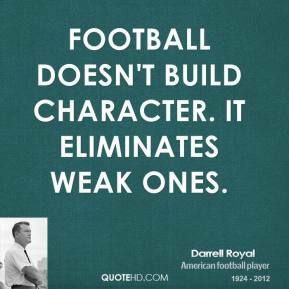 Football doesn't build character. It eliminates weak ones. 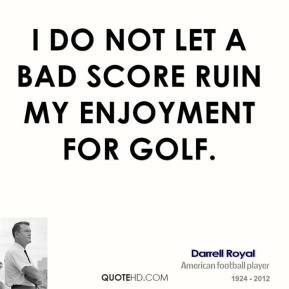 I'm not opposed to it. 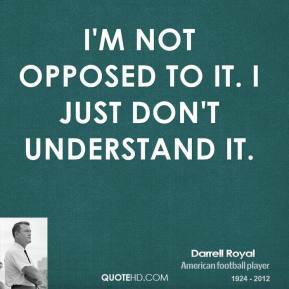 I just don't understand it. 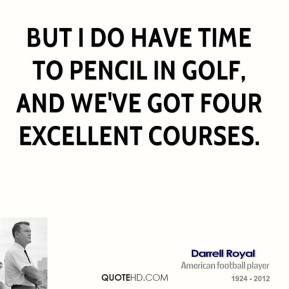 He's superb. Spectacular. 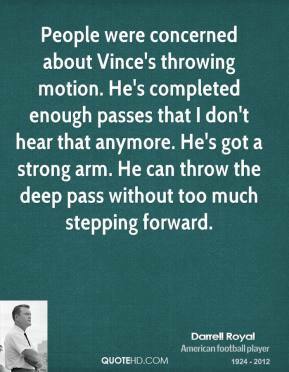 Somebody said he runs with greased ease and I thought, 'What a perfect description of Vince Young.' It looks like his legs are greased, and his body is greased, and he's so fluid that he's just going to slip off the ones who are lucky enough to touch him. The Texas-OU game is a big revenue bear. 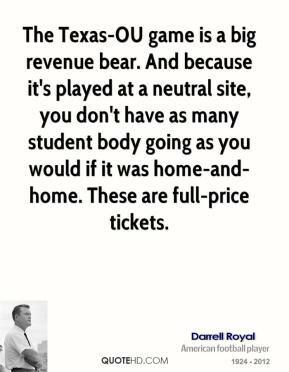 And because it's played at a neutral site, you don't have as many student body going as you would if it was home-and-home. These are full-price tickets. I enjoy baseball. I go to the home baseball games, I got to the home basketball games. 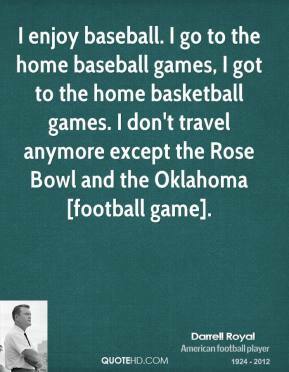 I don't travel anymore except the Rose Bowl and the Oklahoma [football game]. Amazing. 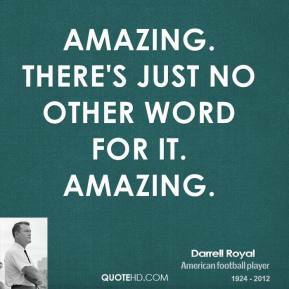 There's just no other word for it. Amazing. 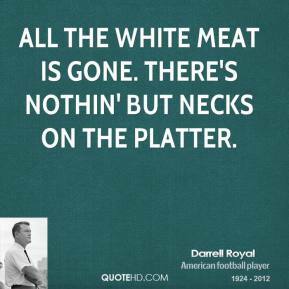 That's the game everybody still talks about. Even after all this time. 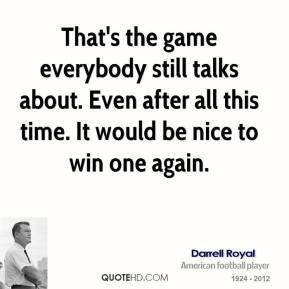 It would be nice to win one again. 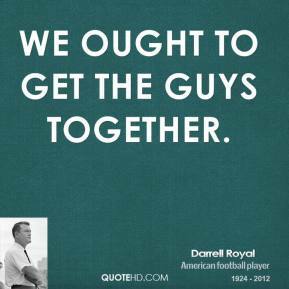 We ought to get the guys together. 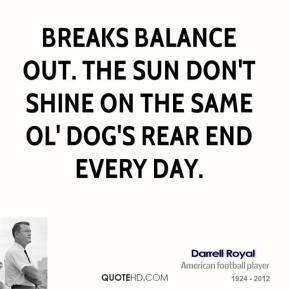 I feel like this hurts us and works to the advantage of Notre Dame, ... 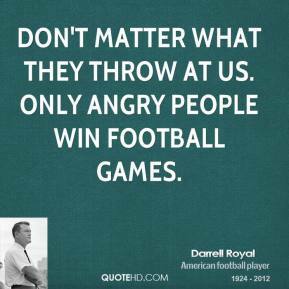 I think our problem for our fans, is to keep their feet on the ground. 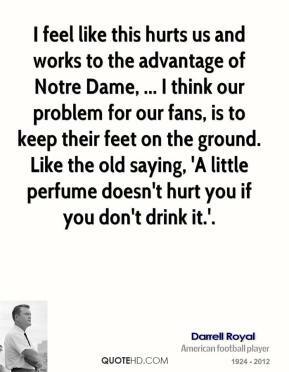 Like the old saying, 'A little perfume doesn't hurt you if you don't drink it.'. 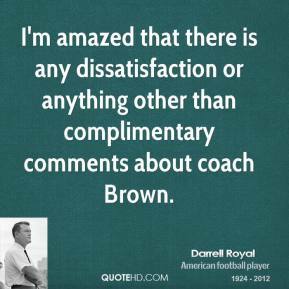 I'm amazed that there is any dissatisfaction or anything other than complimentary comments about coach Brown. 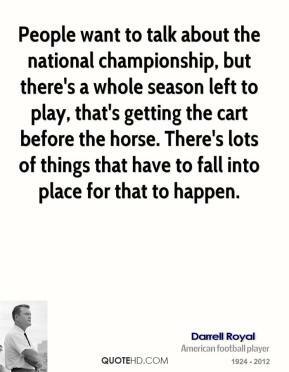 People want to talk about the national championship, but there's a whole season left to play, that's getting the cart before the horse. 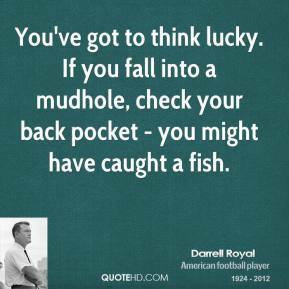 There's lots of things that have to fall into place for that to happen. I'm leaving the house at 8:30 [Friday morning]; they told me to be there by 9 a.m.. 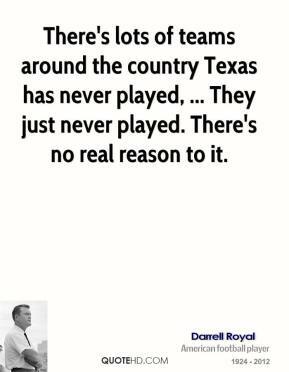 There's lots of teams around the country Texas has never played, ... 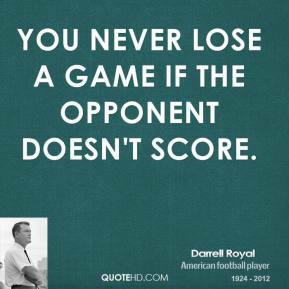 They just never played. 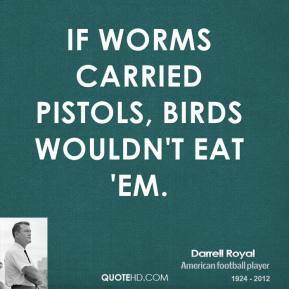 There's no real reason to it. 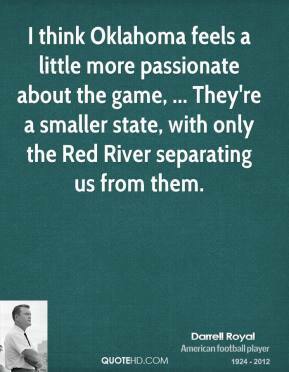 I think Oklahoma feels a little more passionate about the game, ... They're a smaller state, with only the Red River separating us from them. 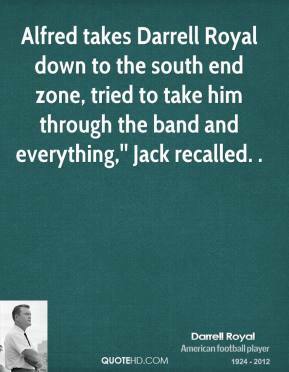 Alfred takes Darrell Royal down to the south end zone, tried to take him through the band and everything,'' Jack recalled. .